In 2017 an estimated 3.1 million students were enrolled in charter schools across the United States. This number, while seemingly small compared to the number of students who attend traditional public or private schools, is up almost two million from a decade ago. Enrollment is not the only thing to have increased in recent years. Support for the charter school system seems to also be growing at an extremely high rate among some Americans. Not to mention the fact that this is an issue of contemporary American politics that both sides of the aisle can actually agree on. Charter schools have even been endorsed by the last four U.S. Presidents. Courtesy of Royal Palm Charter Schools. 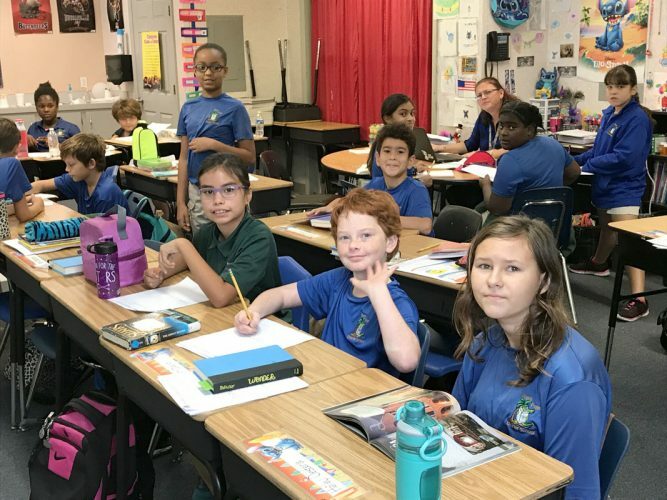 Independent teaching, the potential for innovation and freedom from government regulation are just a few of the things heralded as benefits of this movement toward charter schools. Advocates widely regard these new and improved public schools as the education for the next generation. With this vast optimism and support for charter schools, it seems as though the American education system is finally being led down the right path. Parents have the ability to remove their child from failing public schools and place them into the charter school of their choice, while maintaining the favorable benefits of public schooling. Charter school advocates are ready to move on from the traditional public school and never look back. I believe this trend has the potential to be a costly error for the future of American education. 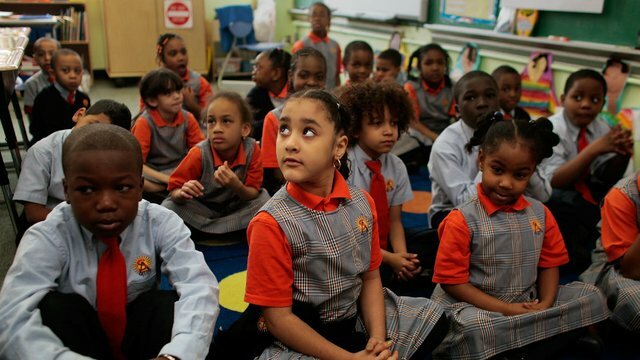 Charter schools have an extremely promising premise. Fundamentally, charter schools seem to be a flawless alternative to what many consider a defunct public education system. Children are left behind, academics are less than rigorous enough to prepare students for college and funding is becoming insufficient for public schools all across the country. Therefore, there seems to be undeniable benefits of the movement towards charter schools. However, it is important that we remain wary of the very real negative externalities of charter schools. There are many ways that charter schools negatively impact modern-day education in the U.S., but there are two key factors that justify my position against charter schools. In theory, charter schools are funded in accordance with enrollment levels. The more students a certain charter school has, the more government funding it receives. Anyone who knows the slightest about government spending could probably gather that there is a limit to the amount of money that can be spent on education. This means that money to fund charter schools is usually drawn from the funding of public schools. Unsurprisingly, this creates quite a significant problem. In Pittsburgh, for example, charter school tuition payments cost the city 53 million dollars in 2014. Due to this massive cost, Pennsylvania Governor Tom Corbett cut reimbursement payments to public schools. As a result, every student that left the Pittsburgh public education system for a charter school led to a decrease in funding for public schools. Without reimbursement costs, traditional public schools are forced to maintain the quality of the education and facilities they provide with considerably less funding. This defunding hits already struggling school districts even harder. If a failing public school loses the little funding that it needs, it cannot be expected to continue to effectively educate students. These effects are real and prevalent in today’s education system. We cannot let charter schools further contribute to a problem that is already out of hand. In practice, the funding of charter schools does much more harm than it does good. If we truly want to improve the education system in the U.S., I would strongly recommend that we do not start with carelessly taking money away from our traditional public schools. It is not the intention of charter schools to move American education back to segregation, but that is precisely what seems to be happening. Segregation in the traditional public education system has long been a topic of discussion. Segregation in charter schools, however, has not been looked at closely enough. As part of the University of California at Los Angeles’s Civil Rights Project charter schools were examined as a driver of re-segregation in Charlotte-Mecklenburg Schools in North Carolina. In this particular case study, there were two key conclusions regarding segregation and charter schools. This is not to say that all or even the majority of charter schools are segregated, but charter schools do leave open the possibility of re-segregation to a certain extent. This should be a cause of concern for all Americans. Charter schools may have the capability to successfully develop the best and brightest young minds of America’s youth, but it all means nothing if it cannot be done together. At a time when diversity is more important than ever in the U.S., we need to ensure that we eliminate any obstructions to the integration of all students. It is possible that an improved charter school system could disallow the possibility for this movement. Until that happens, I believe that improving upon the current public school system is the best way to maintain diversity with American schools. Creating an American education system based on individual choices may seem like the best option remaining for American students, but this is not the case. In fact, I think it is an extremely dangerous thing to do. If we do completely switch to a system such as this, it will allow for even further exclusion of certain students in the U.S.. Therefore, we need to look for ways to improve the current public education system. Attempting to defund traditional public schools in order to grow the charter school system will only set American education back further.